When individual fixture control is required, the ArcPower™ 16x6 comes into its own. 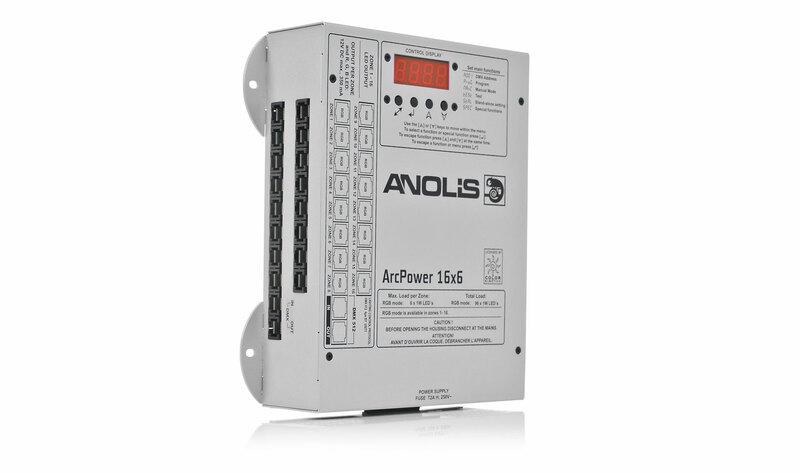 With 16 separately DMX addressable outputs, the ArcPower 16x6 can be used to control complex patterns and matrixes. Each output can power up to 6 LEDs, making this the perfect control option for ArcSource 1MC, 4MC and ArcLink products. Featuring built in and user editable programs, the unit can be linked to further ArcPower's and operated in a master/slave configuration. It can also be linked via DMX to the other ArcPower units in the range.